Head to Ubud in the highlands of Bali for a two night stay in a stunning Balinese villa, reserved exclusively for our Wild Earth Explorers. Walk through lush rice paddies, visit picturesque temples, stroll through the colorful local markets, learning how to cook a traditional meal and experience the Balinese way of life. Board the luxurious yacht MY Damai I to dive and snorkel what has been hailed the #1 marine biodiversity hotspot in the world, the Coral Triangle. Explore the wonders of northern Raja Ampat with its plethora of reef fish (27 endemic), numerous crazy critters all co-inhabiting its spectacular reefs, seamounts and cleaning stations. The jewel-like islands are caressed by a convergence of swift nutrient-rich currents boosting an enormous variety of life. Visit Penemu lagoon and climb the hill for fantastic panoramic views. Head down to southern Raja Ampat for the colorful soft coral reefs surrounding Misool. Here the pulse of marine life thrives from the sea floor to the surface where the kaleidoscope of corals can start in less than a meter of water. The experience of drifting along miles of exquisitely hued reef, brimming with activity, is simply breathtaking. Stop at the island of Koon for passing pelagics on your way into the Banda Sea. Soak up the history of the Banda Islands, famous for their spice trade, discover its incredible reef drop offs brimming with schools of fish before finishing your expedition in Ambon. Divers, join the Post Extension to Ambon and stay at a lovely beachside resort in bungalows over looking the Ambon Bay. Muck diving in the region has become undoubtedly famous, with a huge array of critters that can be observed and photographed during long dives at the shallow sites close to the resort. Be taken on an unusual adventure to a river filled with freshwater eels. World class diving and snorkeling in the heart of the Coral Triangle. Visit colorful markets, temples, traditional villages and meet the friendly locals. Sail through stunning Raja Ampat, Komodo Islands, the Banda Islands and Ambon. 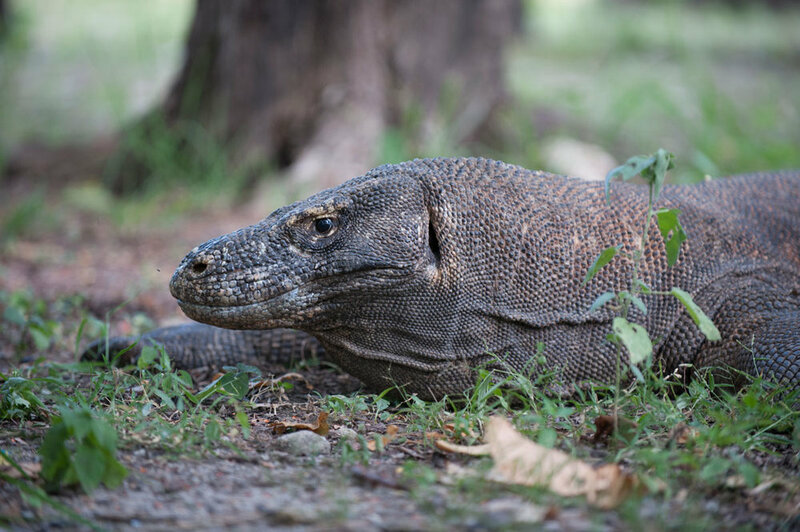 See impressive Komodo dragons, Bird-of-paradise and thousands of fruit bats. Explore spectacular coral gardens, seamounts, and coral covered drop offs. Experience the Balinese way of life at a stunning private villa in Ubud. Search for weird and wonderful critters in the Muck. MY Damai I was built in 2009 in Tanjung Bira, South Sulawesi, by Pak Hadji Baso, the most prestigious builder in the area. The collaboration of traditional skills with years of experience in the Indonesian live-aboard diving industry has created a remarkable vessel. MY Damai I has been designed to offer a personal service that only a vessel of this size, dedicated to small groups, can provide. With an overall length of 40 meters (130 feet) and a beam of over 8 meters (26 feet) the vessel has 7 staterooms with a choice of twin cabins, doubles and two spacious master cabins (sold on a first come first serve basis). All cabins are furnished with either queen or king sized beds, en-suite bathrooms and a/c. The vessel has been designed with three large deck areas for relaxing in both the sun or shade and for indulging in a massage. Specifically designed for divers, the vessel offers large dive stations with individual rinse tanks and a camera room with separate camera work stations with integrated 110v and 220v charging station for each photographer. The vessel is the first in Indonesia to offer a dive master/guide to customer ratio of 4 to 1. Ensuring the best service underwater as well as onboard with 18 crew. The vessel has been specifically designed for cruising, diving and snorkeling the tropical waters of Indonesia. With passenger well-being always the top priority, Damai has set a new standard for safety and comfort. The crew have been specially trained in all aspects of safety, emergency and evacuation procedures. The yacht is equipped with the latest safety features including Oxygen, well equipped 1st aid kit, Life Jackets, Fire Extinguishers, Smoke Alarms, Emergency Long Distance Radios, and Satellite Phones. There are 2 kayaks and a paddle-board onboard. With our private charter, Wild Earth Expeditions has been able to negotiate and include all costs for dive gear rental and Nitrox onboard, plus we are including a glass of house wine with dinners. Any additional purchases onboard incur a 10% government tax and can be paid in USD cash, by Visa or MasterCard (with an additional 3% credit card surcharge).